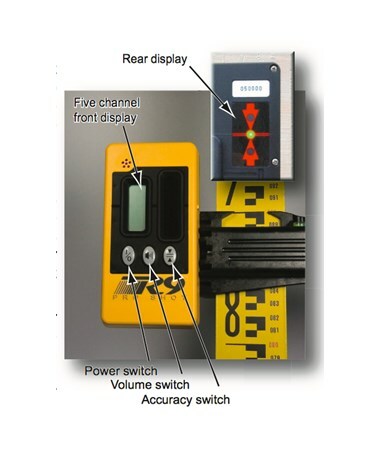 On-Grade accuracy: ±1/64", ±1/16", ±1/8"
Automatic shut-off after 12 min. The Pro Shot R9 Laser Receiver senses laser signals within reception height of two inches and reception angle of 120 degrees. 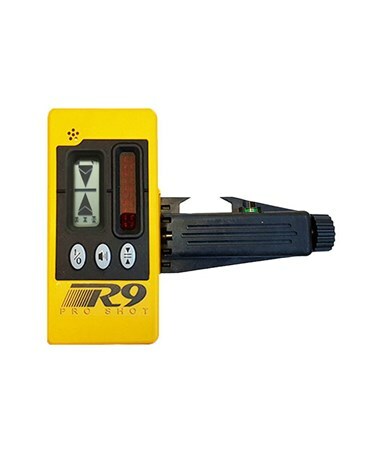 Featuring a five-channel front LCD screen and a three-channel LED display, it provides accurate height information and allows quick grade checking. It also comes with adjustable audio tone indicator for additional interface. This laser receiver by Pro Shot is equipped with three control switches for power (on and off), volume (high, low, and off), and on-grade accuracy selection. It offers three selectable accuracy levels: ultra-fine (±1/64 inch / ±.4 millimeter), standard (±1/16 inch / ±1.6 millimeters), and coarse (±1/8 in. / ±3.2 millimeters). With rotation compatibility of 250 up to 1,200 revolutions per minute, it accommodates most Pro Shot lasers including Alpha, Alpha-C, AS2, and L4.7 models. 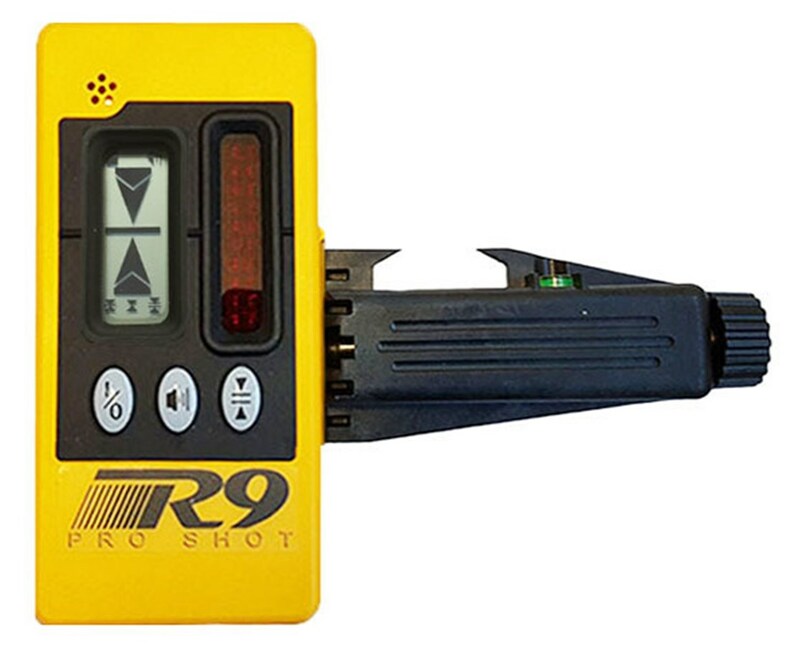 The Pro Shot R9 Laser Receiver uses a nine-volt battery for up to 60 hours of continuous operation. To conserve power, it automatically shuts off after 12 minutes of not receiving any laser beam strike. It includes a clamp for 5/8-inch through 2 ½-inch mounts. Sealed against water and dust, it is durable and can withstand heavy-duty applications.